Just because you are on a gluten free diet doesn’t mean you can’t enjoy a cold, crisp gluten free beer!! These beers are perfect for Celiac disease or anyone who suffers from gluten intolerance or gluten sensitivity. Traditional beer is made from barley. Beer without gluten is most commonly made with buckwheat and sorghum. It is also produced with rice, maize, corn, sunflower, amaranth, flax, millet, quinoa, soybean, and buckwheat. 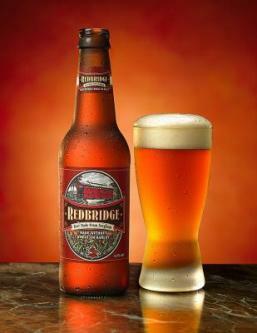 Redbridge is my absolute favorite gluten free brew. It is made with sorghum, tastes very crisp and refreshing and has a beautiful light auburn color. Sorghum gives <?xml:namespace prefix = st1 ns = 'urn:schemas-microsoft-com:office:smarttags' />Red Bridge a slight sweet taste without losing any of the flavor and character of beer. In my opinion, just because you are on a gluten free diet doesn’t mean you should give up beer. Try this pocket guide “Clan Thompson 2007 Celiac Pocket Guide to Gluten-Free Beers, Wine & Spirits (Gluten-Free Alcoholic Beverages)” It comes in handy when you are out for a night on the town and need to be sure something is gluten free. Do you have a favorite gluten free brew? Please contact us and share the name of the beer and your experience, we love to post new gluten free products on our site!